Michigan has some of the harshest drunk driving laws in the country. A drunk driving conviction carries with it not only criminal penalties such as fines, costs, probation, and possible incarceration, but also administrative penalties imposed by the Michigan Secretary of State. Often, the administrative penalties imposed by the Secretary of State are more of a hardship than the actual criminal penalties. The administrative penalties include driver license suspension and revocation, vehicle immobilization, and driver responsibility fees. Both the criminal penalties and the administrative penalties are significantly more severe for individuals charged or convicted for their second or third offense. It is essential that a person charged with Operating While Intoxicated consult with a respected and knowledgeable OWI attorney as soon as they are charged. Often, people charged with OWI think there is no defense and that they should just plead guilty at the arraignment to get it over with. Taking such action is a huge mistake. The attorneys of Springstead Bartish & Borgula Law have over 40 years of combined criminal and OWI defense experience. We are know the law, we know the science behind blood and breath alcohol testing, we know the prosecutors, and we know the judges. This experience allows us to obtain positive results for our clients in even the most hopeless cases. 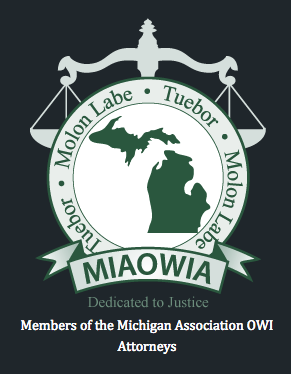 To learn more about the criminal and administrative consequences of a Michigan OWI, please feel free to call the DUI attorneys at Springstead Bartish Borgula & Lynch, P.L.L.C. 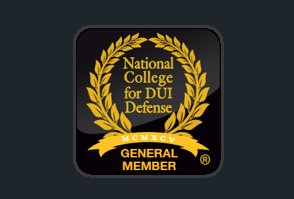 for more information or check out our detailed drunk driving page, where you’ll find lots of information including: DUI FAQ’s, our approach to defending drunk driving cases, the consequences or penalties for a OWI conviction in Michigan, how to fight the field sobriety tests, and attacking the results of breath or blood tests. Please don’t hesitate call if you have any questions or want a free case evaluation. We are located in downtown Grand Rapids, and can be reached 24/7 @ (231) 924-8700 or (616) 458-5500. The following chart outlines the potential penalties for the most common OWI offenses in Michigan. 2nd Offense (within 7 years): Revocation. Cannot reapply for driving privileges for 1 year. Operating While Intoxicated - .08 grams or higher Up to 93 days in jail. A fine of $100 to $500 plus court costs. Up to 360 hours of Community Service 6 $1000.00 a year for two years 30 day license suspension followed by 5 months of restricted driving privileges. Operating with the Presence of a Schedule 1 Drug or Cocaine (OWPD) Up to 93 days in jail. A fine of $100 to $500 plus court costs. Up to 360 hours of Community Service 6 $1000.00 a year for two years 30 day license suspension followed by 5 months of restricted driving privileges. Operating While Visibly Impaired Up to 93 days in jail. A fine of up to $300 plus court costs. Up to 360 hours of Community Service 4 $500.00 a year for two years. 90 day restricted license (180 if impaired by a controlled substance). Zero Tolerance – Under 21 operating a motor vehicle with presence of alcohol in system. Up to $250 fine. Child Endangerment – Drunk Driving with Under 16 year old in Vehicle 5 days to one year in jail. $200 to $1000 fine. 30 to 90 days community service. 6 $1000.00 a year for two years 90 day license suspension followed by a 90 day restricted license.